What do I hate to love? I’m not really sure if there is anything…some of the stuff are things that, if found out by my peers, could raise a few eyebrows though. 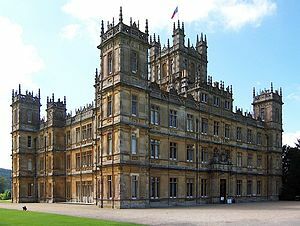 Downton Abbey: I get completely addicted to this show. During it’s run, my week is spent wondering, discussing, and discussing some more about what will happen in it. Oh, and searching like a crazy woman for spoilers. Old Music: Not rock and roll from the 80s, or the Beatles. No, stuff like the Carter Family, or those folk bands that don’t get a huge amount of people at their concerts despite being really good. I’m just a few decades young to be a fan of those. No one expects a teen to be one. Bright Sunny Pop Music: Yes, a complete turn around from the genre above. But, that also gets a….why would you like that? You should like something more cultured? vibe. Especially when people are going around saying how pop starts are so annoying. I honestly don’t care what pop stars do, as long as they don’t drag me into it. Let Justin Beiber sing like a girl–I don’t care. In fact, what’s wrong with it? That said, I’m not a fan of him, though I have heard a few of his songs, and thought them okay. People: I may not care what stars do, but I do like reading about them when I chance upon such a magazine at the doctor/dental office. Dear Abby/Amy/etc: It’s fun. it’s like listening to Rachel Lynde! There. You have it. Those are my slightly embarrassing (perhaps) little facts about me. Now, tell me some of yours? Come on! I did, now you. My, I haven’t been here in a while. This is exactly something I hate to love, per se, but it is a bit different from what I usually like: Babymouse. Graphic novelly-thing in black-white-and-pink. It looks so out of place in my stack of fantasy novels when I go to the library. Hehe. “Old wise college student.” Heehee. I’ve also got some Junie B. Jones in my bookshelf, although I don’t really read them anymore. I read one of the Babymouse books, “Dragonslayer” I think it was, before I had read Lord of the Rings. A few years later, I picked it up again, having read LOTR, and everything just went *click*. One of the best things about Babymouse is how many absurd references it makes. Oh, awesome! I love it when I find references to other books.